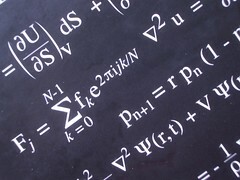 Mike Rugnetta asks “Is Math a Feature of the Universe or a Feature of Human Creation?”. The Institute of Mathematics of the Polish Academy of Sciences at Warsaw is located on ul. Śniadeckich. I decided to have a quick look into the naming of the street. I discovered that it is named after two brothers, both of whom were outstanding Polish scholars end of the eighteenth and the first half of the nineteenth century. Jan Śniadecki (August 29, 1756– November 9, 1830) was a Polish mathematician, philosopher and astronomer. He published works on his observations of the then recently discovered planetoids. His O rachunku losów (On the Calculation of Chance, 1817) was a pioneering work in probability theory. (1843 painting by Aleksander Sleńdziński) Jędrzej Śniadecki (30 November 1768 – 12 May 1838) was a Polish physician, chemist and biologist. He is best known for important book Początki chemii (The Beginnings of Chemistry), the first Polish-language chemistry textbook.